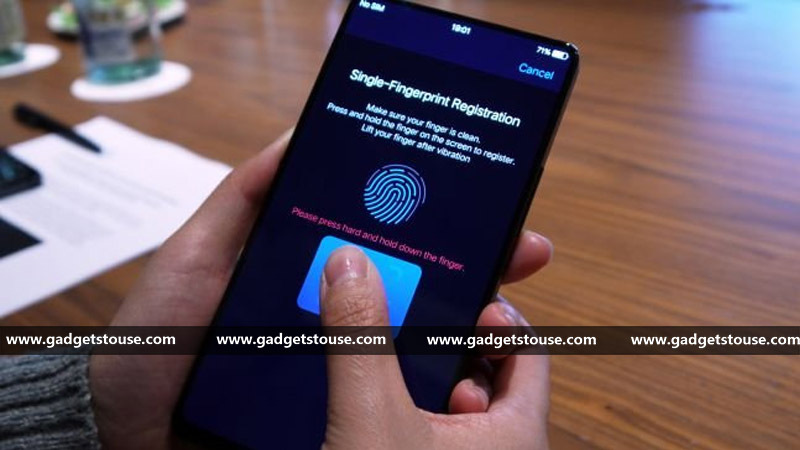 Vivo had showcased its Vivo APEX smartphone at the MWC 2018 which comes with a full display and under display fingerprint sensor. The smartphone comes with 91 percent screen to body ratio, the bottom half of the display comes embedded with a fingerprint sensor and the selfie camera pops out from the smartphone’s top side. The Vivo APEX was recently announced at an event – Vivo revealed that the smartphone is going to feature a Qualcomm Snapdragon 845 SoC, according to ITHome. The smartphone is going to feature a 5.99 inches OLED display with COF tech. It provides full-screen user experience and just like the Vivo X20 it comes with an under display fingerprint sensor, but this time the whole bottom half of the display can sense the fingerprint. Other than this, the Vivo APEX comes with an approximately 1.8mm thickness while the bottom bezel is still 4.3 mm. The smartphone is 7.8 mm thick, and the top side of the smartphone hides the 5MP front facing camera which pops up whenever you need it in just 0.8 seconds. The smartphone is also going to feature a System-in-Package to provide a Hi-Fi audio experience. The display comes with no earpiece; the screen comes with SoundCasting tech which generates vibrations through the display to produce sound. This tech works for the earpiece and for the loudspeaker as well. The rear camera of the Vivo APEX is said to feature the Super HDR with a limited dynamic range of up to 14 EV. The camera also comes with an AI algorithm which features smart optimization, ultra-dynamic, multi-frame preferences, character optimizations and natural tones. To stay updated about the Vivo APEX news and other technology stuff, stay tuned to Gadgets To Use and don’t forget to follow our social media pages.